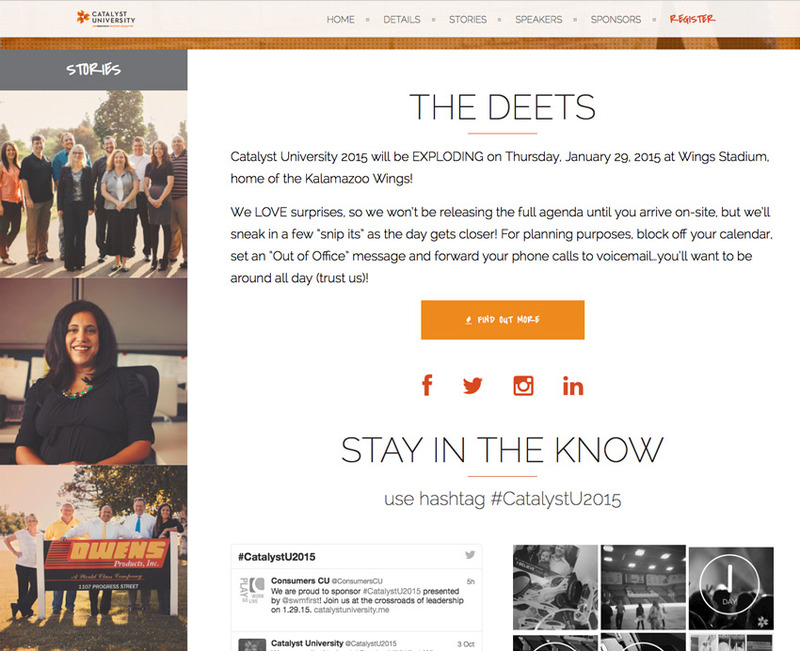 The Catalyst University team came to us with a tall order: completely overhaul the leadership conference’s branding, create a website with cutting-edge design, and do it all in three months so registration can launch on time. We’re pretty happy to say we made it happen. 11Web designer Sherry got to work, ultimately creating five polished logo concepts. The winner included a fun pinwheel-style design that has become known as the “crossroads mark.” This iconic symbol has been spotted throughout their marketing materials and is often used as a recognizable watermark. 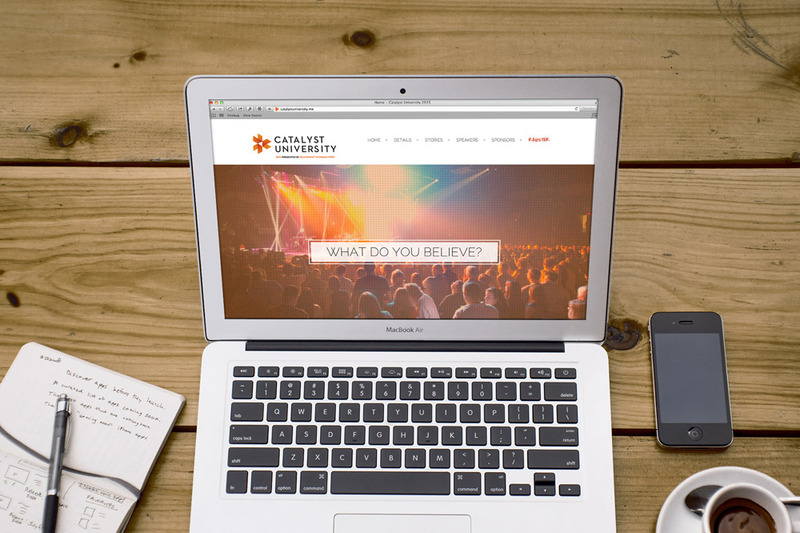 To accompany Catalyst University’s bright and edgy new look, Sara and Sherry designed a website with huge visual impact. 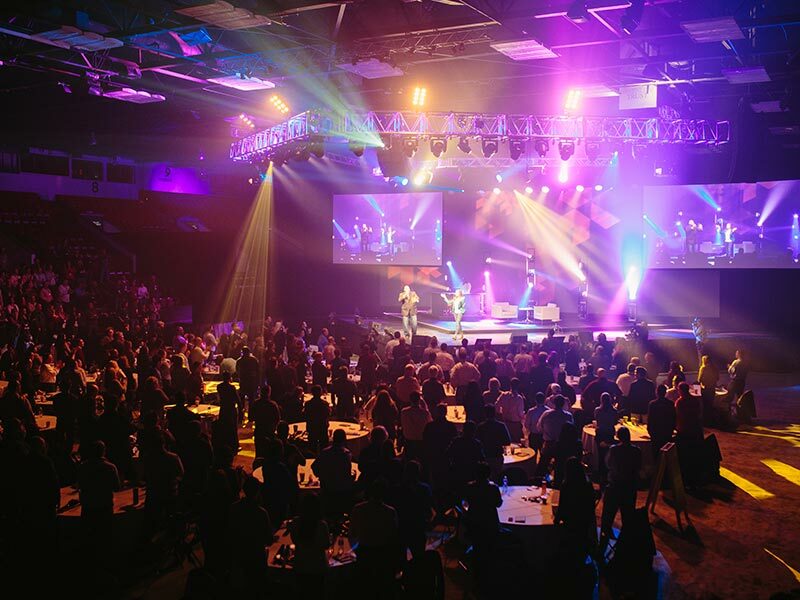 The home page contains all the key information about the conference. A visitor can scroll to see real participant stories, an overview of speakers, sponsor logos, registration, and social media conversations. Our personal favorite parts of the new site are the live Twitter and Instagram feeds. 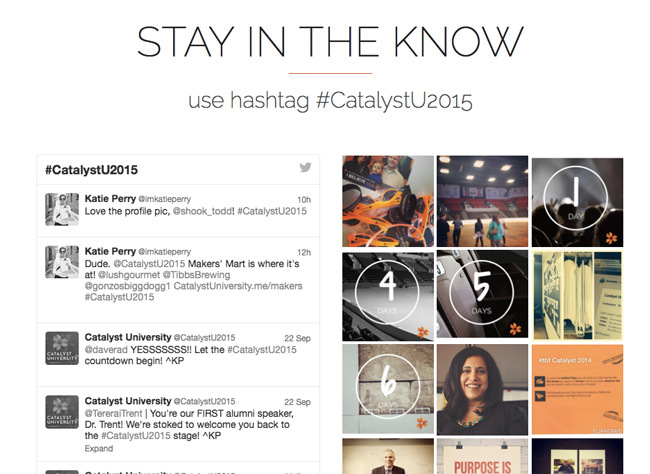 These show any tweet or photo tagged with #CatalystU2015 to promote engagement, highlight fan content, and build buzz. From the home page, visitors can click into layers and layers of exciting content designed to drive registrations. 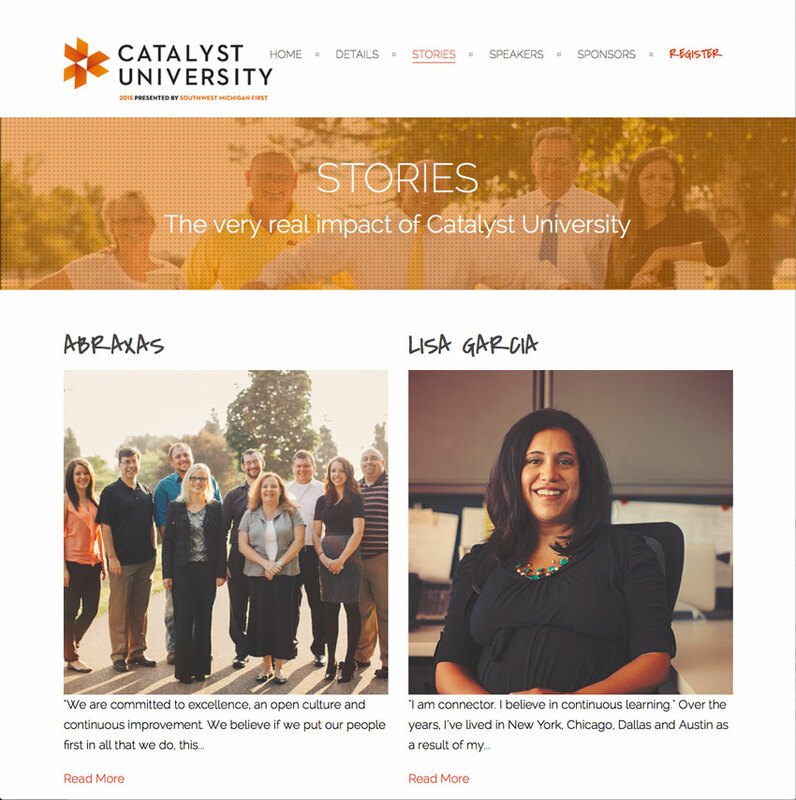 The Stories page shows the visitor real evidence of the impact of Catalyst University. It utilizes large images and short page excerpts. What else do you think Southwest Michigan First + 11Web had up their sleeves?